Growing the great game of golf, giving young, and beginner Golfers a sense of comfort on the course. Publishing charity golf events, and giving sponsors the kick they deserve for participating in tournaments that make a difference, and change people’s lives. Anything to support ANY Military golf events and, showing gratitude, for the men and women dedicated to serving our country. Making golf fun, being a rebel visionary with a very traditional game, and assisting all the PGA, GCSAA, in getting the consumer educated, and being included in the ONLY regional Golf Magazine to survive in the south since 1999. Oh, yeah, dancing in the full moon light. Shannon Coates was born and raised in West Palm Beach, FL. She moved to Oviedo, FL 20 years ago. 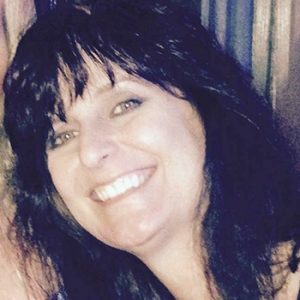 Wife to Kenny Coates and mother of Madison Coates, she spends most of her free time watching Madi play volleyball. She has also been a member of the Oviedo Woman’s Club since 2012. 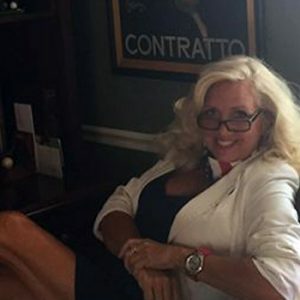 It was June 2002 when she read a “Help Wanted” ad in the newspaper and her fate was forever sealed with Terrie Purdum and the motley crew of Golf Central Magazine (Florida Golf Central Magazine at the time). Since then, it’s been rollercoaster of well-timed obscene jokes and spewing drinks through her nose with no end in sight. 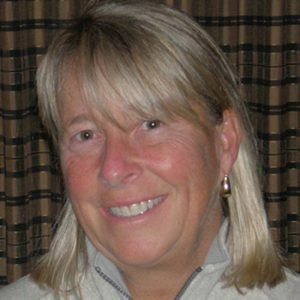 In 2015 she helped Terrie launch www.turflife.club. A lifestyle brand saluting all things turf, whether you play on it, grow it, or mow it. Melahn was born in Orlando (a true Native! ), grew up in College Park, and has remained in the Central Florida area her entire life. After attending UCF for a short stint, putting her love of horses in the forefront pursuing a degree in Equine Genetics, she acquiesced to the fact that math was not her strong suite, and decided to go with her second love, graphic design. 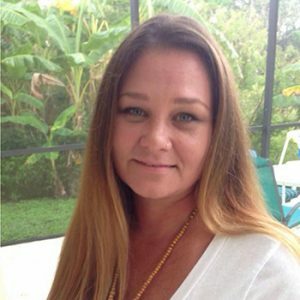 She has been a professional Graphic Designer for over 25 years. Melahn’s interests range from horses, to photography, to quilting, and she can be seen on most weekends out and about enjoying the local music scene (and often onstage, singing with the band). Melahn is also an avid reader, and enjoys creative writing. Understanding from an early age, that she was meant be an advocate, Deb developed community support for a trip to Washington DC. Her mission was to have a central clearinghouse for those seeking help to be directed to specific organizations. She tirelessly pursued those in our country knocking on one Congressional door at a time seeking help. A generous Congressman arranged a meeting with the Chairwoman of the National Council on the Handicapped. She transitioned her advocacy to the Native Alaskan and Native American issues as well as on the Americans with Disabilities Act. Deb later settled in London UK where she was introduced to the Royal Association for Disability and Rehabilitation (RADAR) by a member of Parliament. As in Washington DC, Deb continued to advocate for the betterment of the community. Some of the highlights were the publishing of a twenty page newsletter to raise awareness of RADAR and developing the Scuba Trust. The goal of the Scuba Trust was to teach scuba to people with disabilities. An avid skier, Deb achieved the goal of skiing for the British Disabled Ski Team representing the UK in international competitions as well as the Winter Park (CO) Disabled Ski Team skiing throughout the US. Upon returning to the US, Deb took her extensive knowledge and purchased a Structural Steel Fabrication company focusing on commercial buildings. While owning this company she realized a need for an organization focusing on women in business. 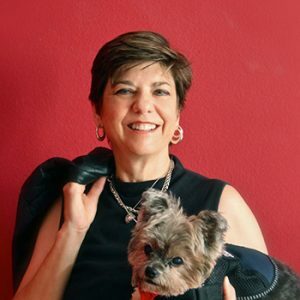 Deb created and became the founder and president of Women Owners of Florida, Inc. (WOoF) She is continuing to make a difference in her community by focusing on WOoF as a 501©(3) giving back to the community. Dove has been a fixture in the international golf travel marketplace for over 20 years. Having worked for two of the top international Tour Ops – PerryGolf and Haversham & Baker – as well as consulting for various tourism entities and writing. She has traveled to six of the seven continents (Antarctica is on the bucket list even without a golf course) more than 60 countries and 47 of the 50 states with a set of golf clubs. Spending more than 5 ½ years on ground in the British Isles on her travels, she serves on various international golf rating panels including the prestigious Platinum Club of the World. She is a member of Royal Liverpool Golf Club and the Crail Golfing Society. 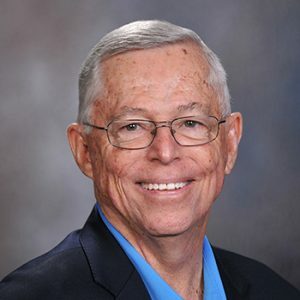 Prior to graduating the Golf Academy of America (Orlando, 1999), Greg met Terrie Purdum and joined Florida Golf Central Magazine where he was a welcome addition in the magazine’s first year of publishing and eventually served a role as Managing Editor. Greg’s experiences at FGCM thrusted him into a career of newspaper journalism serving as Sports Editor for The Daily Southerner, Tarboro, N.C., and The Montclair Times, Montclair, N.J. Other than straight sports reporting, his duties included photography, pagination and strong headline writing at both publications where he earned Press Association awards at each stop. Greg is still very active in the game of golf as a professional caddie (Professional Caddies Association, 1999) serving members and guests on weekends at prestigious private clubs in the Northeast such as Lancaster Country Club, Lancaster, P.A., Essex County Country Club, West Orange, N.J., and Baltusrol Golf Club, Springfield, N.J. In 2008, Greg organized an annual 911 Be A Hero For Zero Memorial Caddie Walk where him and other fellow caddies walk over 20 miles with bags of clubs from West Orange N.J., into Ground Zero Manhattan to honor victims that were members of golf clubs in the greater Northern New Jersey area. Greg has lived in Lancaster, Pennsylvania since August of 2010 working as a Quality Assurance Engineer for Williams Forrest – a digital product agency. Greg also keeps in touch with his passion for photojournalism by doing freelance work for sidelinechatter.com. A graduate of Lycoming College (1997) Williamsport, P.A., Greg is also the proud founder of Lycoming Lacrosse (1995). Greg is a frequent contributor to “Golf Central Magazine,” for the past 15 years. Greg Wise is a freelance golf writer and photographer and graphic designer. He writes golf features, covers professional events, destination stories as well as equipment reviews, and clothing. Extending his passion for golf, Greg extends his time and talents to The First Tee of Greater Ocala, serving as a Director for the past 4 year and now serving at the President of the Youth Organization. Greg is also a member of the Golf Writers Association of America, and the International Network of Golf. Jay Golden, PGA, has taught and coached golfers from every age group and skill level ranging from children to Tour Players. Although students differ in skill, athletic ability and personality, his goal always stayed the same: TO SHOOT LOW SCORES. Additionally, GolfWorld Magazine coined the title of an article “Jay Golden: Golf’s True Renaissance Man” which can now be seen on the Golf Digest website. This is in relation to Golden combining his interests, hobbies and skills with this great game. His humor, art, poems, songs, articles, books, trick-shot shows, screenplays, TV appearances, cartoons, DVD’s and YouTube videos, are examples. Joel D. Jackson, CGCS Retired: I was born and raised in Tampa, FL. Graduated with the Charter Class of the University of South Florida in 1964 with a BA and a major in Geology. I enlisted in the U. S. Coast Guard OCS program and served as an Admin Officer at Base Miami Beach as the Operations Officer on the Coast Guard Cutter Hollyhock, a 180 ft. Buoy Tender that covered the east coast of Florida from Miami to Cape Kennedy. My final post was as Commanding Officer of the Coast Guard LORAN Station on South Caicos Island. My golf course maintenance experience began in the 1960’s working on construction and maintenance of the Apollo Beach GC near Tampa. In the early 1970’s, I worked on some projects as an assistant for golf course architect William H. Dietsch, Jr. In 1974 I began a career at Walt Disney World, which would span 20 years. I left briefly from 1988-91 to work with Arnold Palmer as he developed the Isleworth G&CC. I returned to Disney in 1991 as Superintendent at the Osprey Ridge GC and then the Magnolia Course. Finally in December 1997 I retired with 20 total years of service with Disney. I had also been active in the Florida GCSA and beginning in 1990 I served as the editor of the chapter’s Florida Green magazine until 2013. In 1998 I also took on the role of Communications Director and eventually Executive Director until my retirement in 2013. In 1998, Pat Jones asked if I would like to write for Golfdom Magazine. I accepted and have been a regular Contributing Editor ever since. In 2017, I asked current Editor-in- Chief Seth Jones if I could continue to write, but on a part-time basis. Passionate golfer, lifelong learner, promoter and champion of LPGA Founder’s Film, advocate for Junior Golf Programs, retired public school counselor/psychologist/educator. Married to Mike Sieg, mother of twins, grandmother of 3 “future” golfers. Central Florida resident for over 40 years, currently lives in The Villages, a golfer’s paradise for “baby boomers”!!! 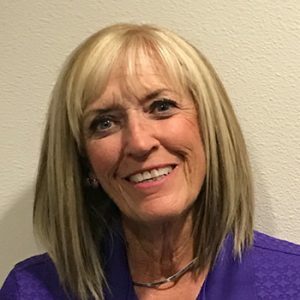 Active member and golf coach with The Villages Junior Golf Foundation, Top Venues Golf and Travel, and EWGA Executive Women’s Golf Association. Most recent golf bucket list golf destinations: Pebble Beach, Scotland’s St. Andrew’s Olde Course, Pine Needles/Mid Pines Resort with future adventures to National Senior Games golf event in Birmingham, AL, golf tour of the West Coast of Ireland and then cruise to Alaska. 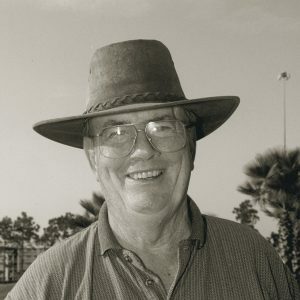 Mike May is a golf writer based in Wellington, Florida. Mike, an avid golfer, is also a member of the Golf Writers Association of America. He traces his roots as a golf writer to the 1983 Open Championship at Royal Birkdale — which he attended for all four days — and then voluntarily wrote his own account of that major championship event. 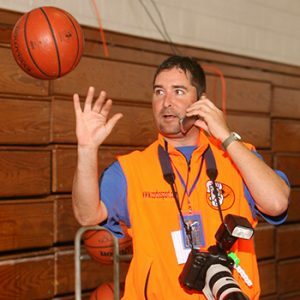 In addition to being a golf writer, Mike is a varsity girls high school basketball coach, officiates high school soccer, covers high school sports for the Ft. Lauderdale Sun-Sentinel, writes about sports business issues for Team Insight magazine, is a longtime rugby player, and works with a cause (PHIT America) that is focused on bringing daily P.E. back to all U.S. schools. 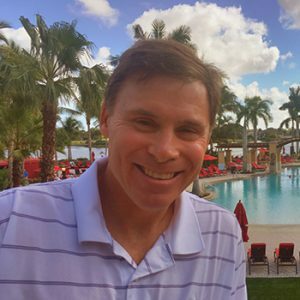 Mike is a 1985 graduate of the University of Florida where he earned a degree in broadcasting. Go Gators! Rick Harris was born in White Plains, New York on August 25th, 1930. He moved to Jacksonville, Florida in March 1947. After graduating from high school he joined the U.S. Marine Corps in October 1948. He served during the Korean War and was discharged in October 1952. Using the G.I. Bill, he enrolled in the University of Florida in September 1953 and graduated with a business degree in August 1956. After 15 years in the insurance industry he returned on a part time basis as a student to the University of West Florida in Panama City, Florida while working as a teacher in a private school. Rick earned two master degrees in Psychology, and Administration and Supervision. He spent 19 years as a school psychologist in Monticello and Orlando, Florida until He retired in August 1992. During that time he also worked part time as an area golf director running golf tournaments for Golfweek magazine. 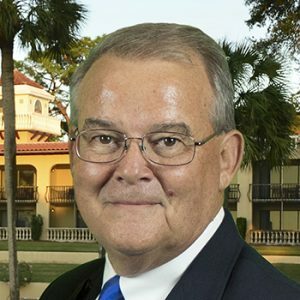 Also, while in Orlando from 1979 to the present Rick started the Ventura Golf Association (VGA); served as a member and was president twice of the Amateur Golfers of Orlando (AGO); and in 1994 he started the Senior Amateur Golfers Association (SAGA). He has lived at Ventura Country Club for the past 36 years. Rick also began working on a part time basis as a writer for the Florida Golf Central magazine in 2000 owned by publisher Terrie Purdum. 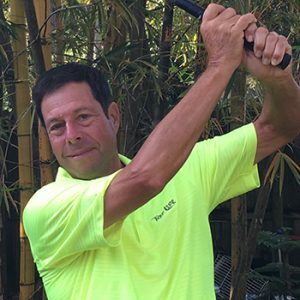 Rick has been retired for the past 25 years while working part-time as a golf director, writer, and author of a book while playing golf 1-2 times weekly. Over the years Rick has participated in and won many golf tournaments culminating in a 10th place finish out of three thousand plus golfers in the 2005 World Amateur Golf Tournament in Myrtle Beach. Currently Rick and Betty enjoy visiting with their 4 children and 9 grandchildren.